Garage staging is a much overlooked part of preparing any home for sale. The garage is a valuable addition to every home and is actually treated as a major priority for many prospective home buyers. Keeping the garage clean, neat, organized and aesthetic can mean the difference between landing a terrific offer and having yet another buyer move on the see the next residence on their list. This discussion provides simple-to-follow guidance for enhancing the interior and exterior of a garage. 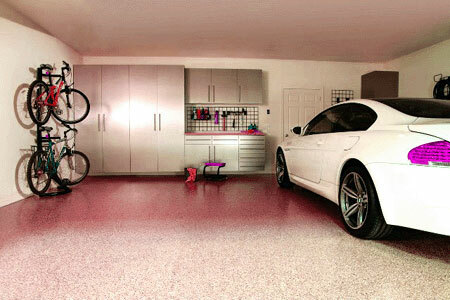 Home staging a garage is not difficult, nor does it need to be expensive. Unlike much of the rest of the interior of a home, garages do not typically require costly fixtures or fancy décor. In fact, keeping the design of a garage extremely simple and efficient is preferred by staging experts the world over. The functionality of the space is crucial and buyers consistently cite storage, ample space and usefulness as the main criteria used to rate any garage. To accomplish effective staging for a garage typically only requires sweat equity and some well-planned DIY efforts. Remove all of the junk and organize what is left. Decluttering the space will make a huge difference. Throw away those rusty old garden tools and all that stuff which was there when you originally bought the house. Make sure the interior lighting is in good repair and that all electrical outlets are covered and functional. Paint the walls, ceiling and floor for a clean look and feel. Alternately, you can lay down specialized industrial flooring products to further improve the aesthetic appeal. Tear out old wooden shelves and benches which are in poor condition. Replace with plastic, resin or composite shelving and cabinets made for garage spaces. These high-tech and virtually indestructible materials are not expensive, but will add tremendous equity to the space. Make sure to remove spider webs and any bugs from the space. Ensure that the garage doors work well and look nice. Replacing the doors, or at least repainting them, can make a real difference to the curb appeal of the home. If the garage has a loft area for storage, be sure that it is easily and safely accessible and well organized, including lighting. The garage is a nice and highly marketable add-on for any property. Large garages are especially beneficial, since they can provide shelter for multiple vehicles, additional workspace and possibly, even dedicated storage. Cleaning, painting and organizing any garage can make it 100% more appealing to any potential buyer, for no significant investment of money and only a few hours of labor. There are few other interior staging solutions which work so well for so little investment of time and effort. To learn more about staging your garage to sell, contact a qualified home staging service or consider DIY staging, with or without the benefit of a home staging consultant.